For the last few weeks, I've been dealing with some website issues. Without going into too much detail, what happened was that a third party was redirecting my website domain to an advertisement instead of my website. I hadn't been very pleased with my web-host already, and this situation was the proverbial last straw. On top of that, I had been toying around with a new (wordpress) website, which has been something of a distraction. At any rate, I think I've got the situation handled, but it brought something into focus. Most writers I know don't have any desire to run a business. We're often solitary types, better at massaging grammar and dialog than stroking egos. We like to sit in a quiet room with a computer rather than rushing to meetings or taking business calls. We tend to believe that someday we'll get a big publishing deal and never have to worry about anything again, except for doing the thing we love. It can be somewhat disappointing to learn we can't just sign a contract and then disappear into our fantasies. It never really did work that way, and these days a writer has -and must have- more control of his career than ever. Traditional publishers still exist, but most of them have little interest in promoting or nurturing new talent. Contracts have become notorious for grabbing authors' rights and financial payouts are worse than ever. Most traditionally published authors have become hybrids, fulfilling contractual obligations on one hand while self-publishing at the same time. Writers have more options than our predecessors, but none that lead to guaranteed success. There's more competition in the marketplace than ever before, and while we have options to distribute our workload, those decisions come at a price. We walk a line between the complete lack of control we had traditionally, to a minor lack of control at greater expense, at least up front. More and more, we find ourselves wrapped up in the details of running a business rather than writing books. We're reaching out to editors, artists, and readers. We're trying various methods of promotion. All of these arrangements must be handled professionally, because money changes hands. Don't even get me started on taxes. At some level every writer has to micromanage his career, and while we may not like to look at what we do as a business, that's really what it us. And it comes with all the same benefits and drawbacks. Yes, we do have more freedom, but we take risks both financial and emotional. In the business world we may never get that management promotion because the owner's nephew got the job instead. In writing, we don't always face a landscape of fairness and decency, either. One writer may get published because of who he's related to, rather than how well he writes, while another extremely talented writer toils in obscurity. That's just the way the world works. As businesspeople, we have to learn to manage our time; to deal with the things in our control, and let go things that are not. On the bright side, we can still choose to be successful. We can't force a million people to buy our books, but we can keep putting them out there until somebody pays attention. We can take advantage of the opportunities we have. We can try new things. We can experiment with different types of promotions. We can change our book covers, or change our websites. We can write in fifteen different genres and publish in a hundred different languages. When you set aside the financial incentive, the rest of it looks pretty cool. I guess what I'm saying is, even though writing may turn out to be a lot more work than just writing, we're still pretty lucky to do what we do, especially in this age. I felt like it was time for a change, so I've updated my blog theme. I feel it's more in keeping with the weather around here in NorCal (if this "drought" goes on much longer, we'll be canoeing across town) and perhaps a little easier on the eyes than the previous gold text and dark background. As usual with Blogger, I'm not 100% satisfied with the results. There are certain elements that I can't change manually, or I can't do without a great deal of time and a better understanding of HTML. Sadly, I thought those days were over and I gave up programming years ago. Still, I do like this theme and hopefully others will agree. I have also updated some of my book covers over the last two weeks, and most of the final changes are now live. For some of my books, this has been an ongoing annual process. Over the last few years I've not only learned a lot about cover design, the market itself has also become more sophisticated. Back in 2010, readers were used to (frankly) lousy covers. Big publishing houses didn't spend a lot of their budgets on cover art, and since the majority of authors had no say whatsoever in their book's appearance, covers tended to be quite bland and in many cases, genre neutral. Not so anymore.I have to say that Independent authors have really raised the game. A few years ago, we were all Photoshopping together two dimensional stock photos and slapping on some text. Now, a quick perusal of Amazon's charts will reveal some absolutely stunning artwork and an extremely sophisticated system of author and genre branding. In my case, I'm just trying to keep up. I've been familiar with Photoshop since the early 90's and I was confident going into this that I could build covers just as good as those on most of the books I owned. For the most part I was probably right, but sadly I didn't realize at the time how much better things could be. It didn't take long to learn that generic Windows fonts aren't enough, and that there are far better options than simply Photoshopping stock art. Of course, while working towards better covers, one must always keep branding in mind. 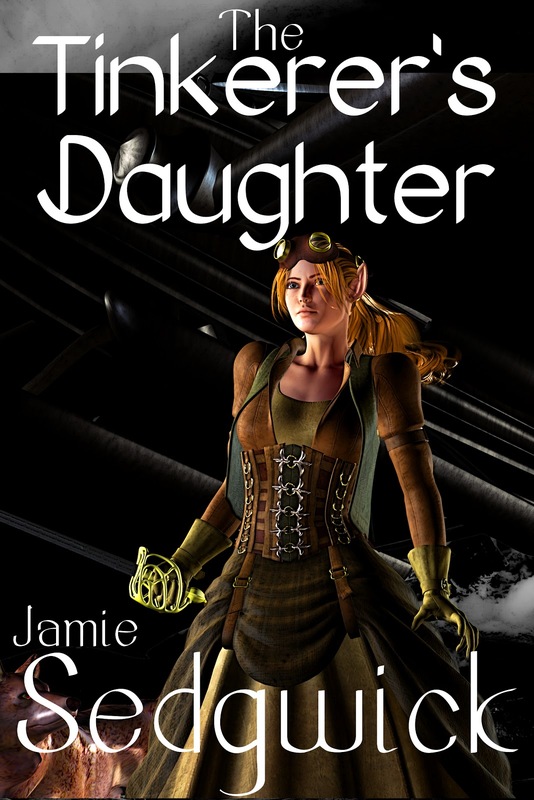 It's important that when readers see your covers, they instantly recognize them as yours. Artwork is one aspect of that. 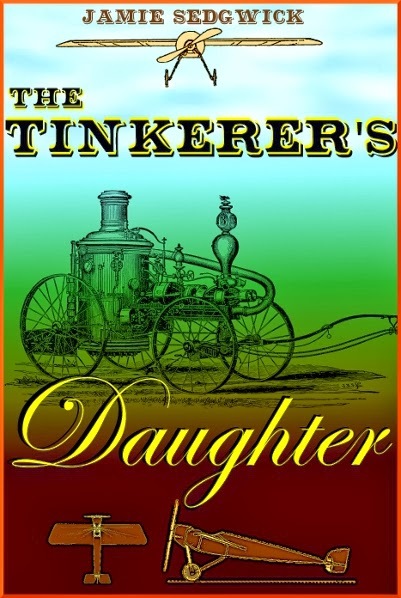 For example, in my Tinkerer's Daughter series, I've always used the main character on the covers (with the exception of the very first cover I created, and immediately realized it was a mistake). The combination of font and image lets readers know right away that this is an adventure, and that the protagonist is a young female. If done correctly, there are genre-specific cues that knowing readers will recognize, possibly even subliminally. For example, Breeze has long, elfin ears, pointing towards a fantasy theme. 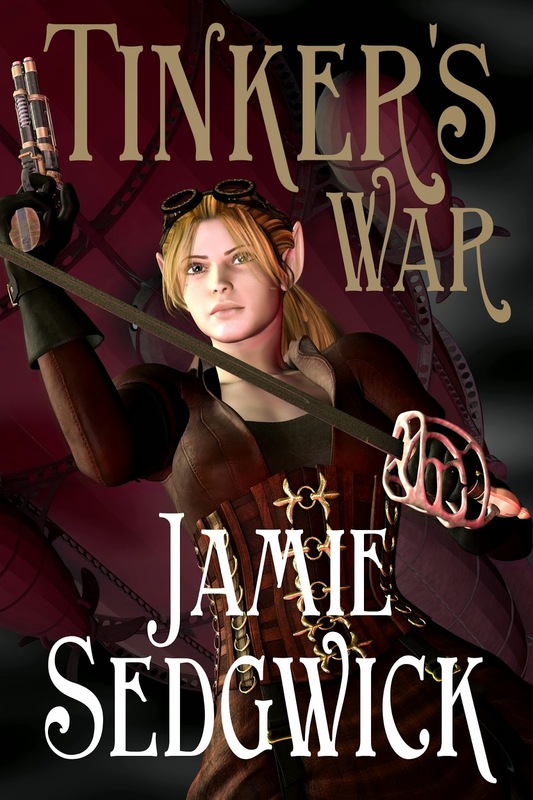 She carries a sword or a spring-powered revolver, and dresses in a steampunk fashions reminiscent of Victorian England or colonial America. 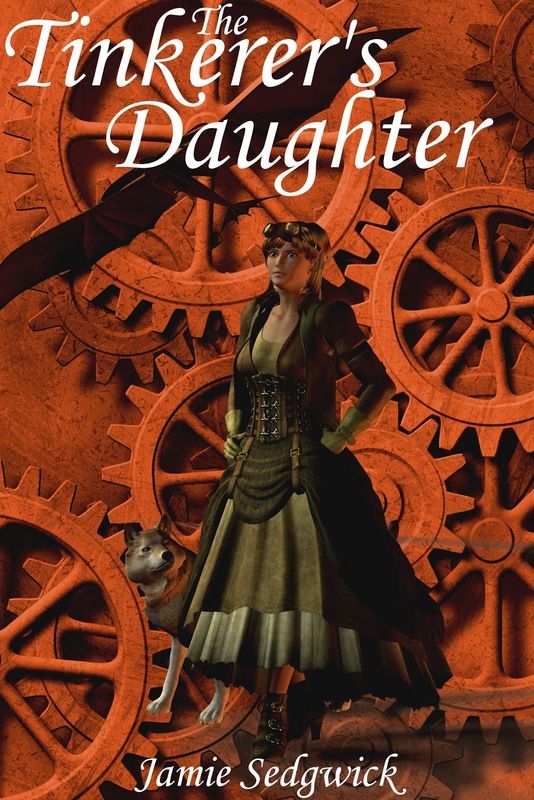 Readers unfamiliar with the genre may find these contradictions intriguing, but steampunk fans will instantly know what they're looking at. 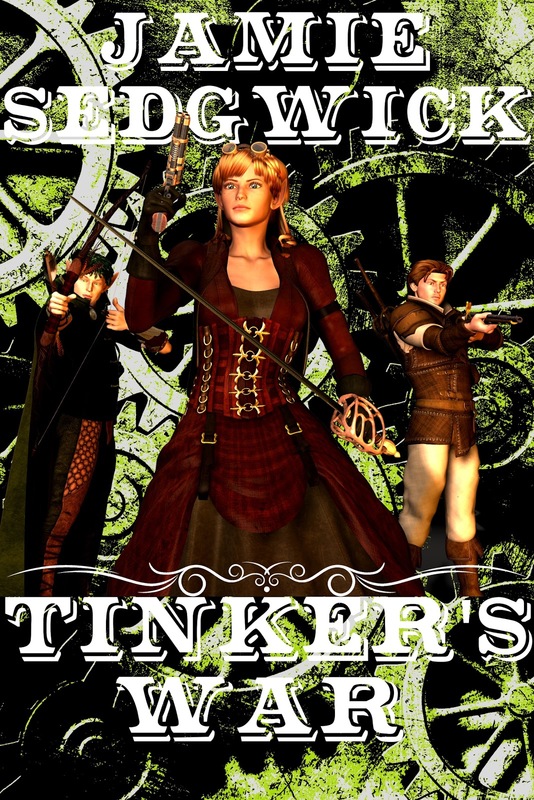 It's a fantasy-themed steampunk adventure series that revolves around a young female protagonist. Piece of cake. Likewise, the fonts you choose as well as their size and placement on the cover relay a vast amount of information to readers. The font you choose on a romance novel is very different from the one you'd choose for a science fiction novel. These cues let readers know what they're in for, and if you get them wrong, may lead to readers being disappointed or even angry. It's not hard to imagine a one-star review proclaiming, "I thought this was romance, but it was all about spaceships and aliens. I couldn't even finish it!" This is the sort of thing we avoid with a correctly branded cover. The easiest way to get a feel for branding is to browse the covers in your genre at Amazon.com. They will vary, of course, but you will probably pick out certain themes. Do they usually contain characters, or simple inanimate objects? Is the art on the cover larger, smaller, or equal in size to the name of the author and the title? Do colors tend to run bright and vibrant, or perhaps dark and moody? You may have an idea you really like, something that nobody else has done, but always keep in mind that when you experiment, you defy cues that let readers know what they're getting. The reason for this is that most readers aren't rushing out to find something "new and different" even if they say they are. They're really looking for something as familiar as a warm blanket by the fire. They want a romance that's different from the last romance, but not too different. Same with fantasy, sci-fi, and pretty much every genre. Don't abandon this type of branding lightly. If you do, be prepared for it to cost you some sales, at least in the beginning. The nice thing is that since you're an Indie, if the cover doesn't work you can change it at the drop of a hat. As you can see, the first edition wasn't necessarily awful, but it doesn't make the grade by modern standards. I was doing something with the fonts, but they didn't quite do the trick, and the artwork is far too vague. It looks like what it is: a cut and paste job. The current version on the right isn't perfect, but it's a vast improvement over the original. My font choice here still could use some improvement, and the art is perhaps a bit small, which means details are lost when it's shrunk down. But overall, it's definitely a major improvement and I'm fairly happy with it. Any changes I make in the future will probably be relatively minor. Again, the improvements are obvious. 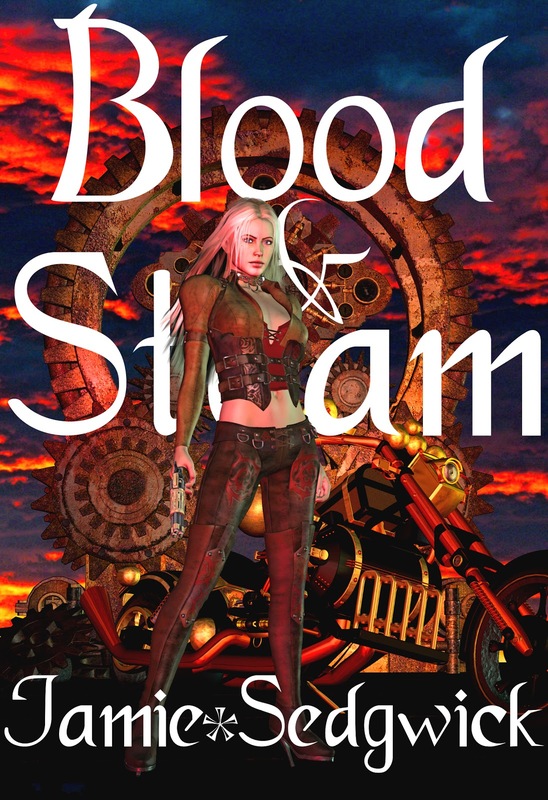 Clearer, larger image, better fonts, and a stronger emphasis on both title and author name. While the previous versions were consistent in terms of series branding, I hope I've taken that to a new level with the latest versions. All the same issues, and largely the same improvements. What do you think? You can find all of these and the rest of my titles by clicking the advertisement on the left side of this page.